When I first learned that Maryland Senator Ben Cardin is proposing a bill to save the newspaper industry, I chuckled. 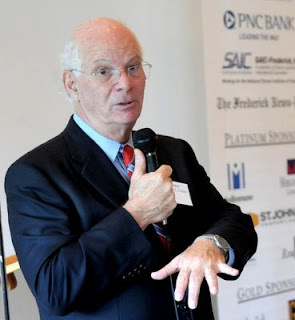 Bailouts are the way of Capitol Hill these days, but this maneuver shows how out of touch Cardin is. Sorry, Senator, everything doesn't need a bailout. History has shown that throwing money at an entity rarely is the best answer. It's the easiest response since it requires responsible parties to not work the problem. More often, the people associated with this bailout-handout become lazy and expectant of more assistance (um, welfare?). If you perceive this view as negative or jaded, just take a stroll though history and you'll trip over the facts repeatedly. Senator Cardin, why would you want to save something that NEEDS to change? Newspapers have been at a crossroads for years along with the rest of legacy media (radio and TV). Change is needed but many organizations have tossed and turned on when and how to change. Some have adapted better than others. Sadly, some have closed their doors. Making newspapers non-profits based on the idea that they educate the populous is worthy of thinking outside the box - slightly. However, I wouldn't want most of these liberal rags being labeled "educational" whatsoever. This effort reminds me of the grossly out-of-date instructional videos I've come across being used in classroom settings. Beyond screaming how antique the footage is, the message conveyed is that we don't have the time or resources to update this information from the 1970's. Is this what you want for newspapers, Senator Cardin? My guess is you just want to spare them all a visit from the Grim Reaper because newspapers are as American as apple pie and baseball. We can't let them fail! Have you been reading the headlines? 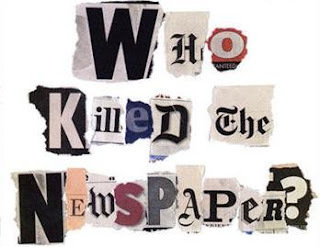 Internet: Death of the Newspaper? I think of the TV shows where viewers created huge "save the show" campaigns. Often, the producers responded with several more episodes to these viewers delight. Yet, the end was always near because the show simply no longer had sponsors. It was no longer profitable, no matter how great the actors or stories. This even applies to newscasts. WUSA, Washington, DC's CBS affiliate, opted to replace weekend newscasts with infomercials because they brought it more money. You may have liked those casts. Sorry. You may have liked those TV shows. You can watch reruns online or on DVD. Senator Cardin, you may want to be the Savior of the Newspapers, but it doesn't need to be done. Newspapers are failing because advertisers don't want to run ads in a medium that fewer people are looking at on a daily basis. Let newspapers die, Senator Cardin, so our great journalists can find their next voice on the web. Or let them retire. Just focus your efforts on more modern issues, and hang up your newspaper cape and tights. No one wants to see you wear those (shudder). If you ask me, newspapers are quickly becoming a rotary phone in a voice activated phone world. The older readers are going to have the hardest time adapting. The younger readers, are already out of the paper (never really entered), and receiving RSS feeds and looking at the news online. Just like the watch, and the home phones, they are all in transition. How many folks do you know who don't wear a watch and have cut the cord on their home phones? Hmmmm food for thought.